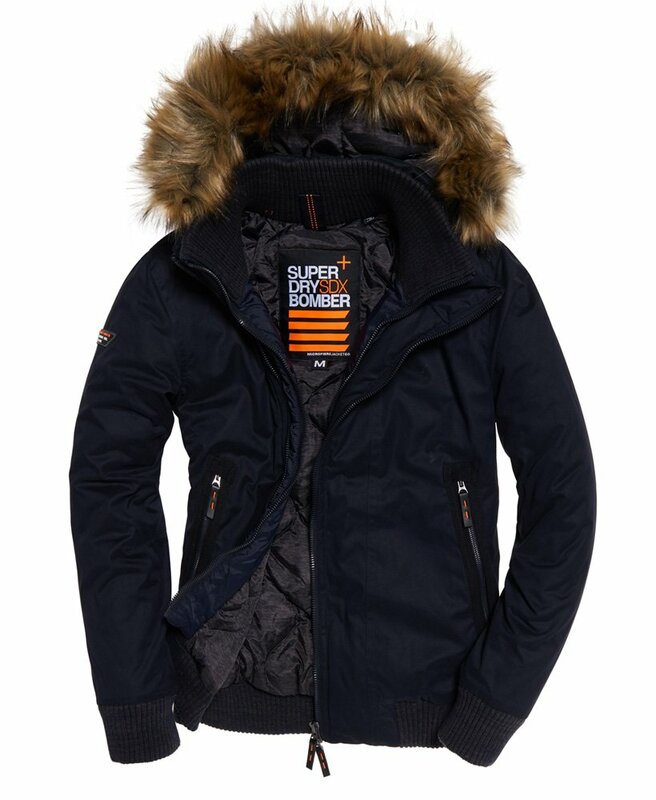 Superdry men’s microfibre SD-Windbomber Jacket. This bomber-style hooded jacket is made from soft-touch microfibre and features a detachable faux-fur trim to the hood, a two-layer, two-way zip fastening and ribbed inner collar, cuffs and hem. Inside, the jacket is lined with a quilted body. The SD-Windbomber jacket is finished with two external zip pockets to keep your belongings safe and a rubber Superdry logo badge on the sleeve.